Studies prove that lack of sleep shaves years (and joy) off your life. Not a good thing! But lost years are not the only thing that lack of sleep affects. If you are currently gaining weight and can’t figure out why or maybe you’re just have difficulty erasing those extra pounds and you have not considered your sleep patterns, it’s time you did. 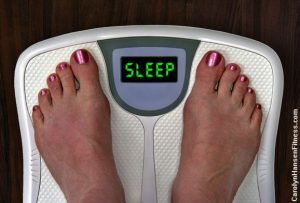 Believe it or not, the solution to your weight loss issues could be as simple as regulating your sleep patterns. 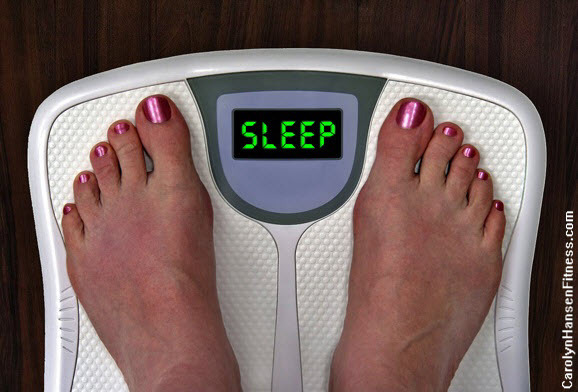 One such research study showed that women who only sleep 5 hours nightly gain weight more dramatically than those who get at least 7 hours sleep. Cortisol – Cortisol is the hormone that regulates the appetite and sleep deprivation is believed to affect the amount of Cortisol our bodies secrete. Lack of sleep can cause someone to feel hungry when they aren’t because of the way the metabolism reacts. Sedentary lifestyle – Less active during the day usually equates to lack of sleep at night. Sleep is supposed to rejuvenate a tired body but if your body is sedentary during waking hours you’ll have difficulty falling asleep and remaining asleep. Emotions – Emotions become chaotic and affected with lack of sleep and it’s not unusual to experience sudden bouts of depression, frustration and anger. Insomnia breeds crankiness and mind confusion those who don’t sleep do not have clarity of mind. They don’t think clearly – not the best mental conditions for losing weight and keeping it off. With the proper amount of sleep, dieting and weight-loss is easier and focus and clarity are sharp. Your cognitive functions (reactions times, decision making and memory) will improve and you’ll be able to hone in on the important aspects of your life. Truth is, weight loss and maintaining weight loss only works when both the body and the mind are working in unity with one another. Motivation is another key element to losing weight and keeping it off. It takes a hefty dose of motivation in order to focus on and achieve your goals. If you are sleep deprived your motivation suffers causing your weight-loss to suffer too. If you simply turn to medications to make your lack of sleep go away, you’ll be treading in dangerous territory and likely make your problem worse. It’s simply a temporary band-aid that solves nothing. Computers and all back-lit devices can also be a culprit to a good night’s sleep by affecting the release of the hormone melatonin. So, try and keep your electronic devices out of or away from your bedroom. It doesn’t take a lot of sleep loss to affect your weight in a negative way. Just 30 minutes of lost sleep can actually cause you to be more likely to gain weight. So, if you want “sleep like a baby” and remove that excess stubborn body weight give your body the nutrition it needs, get the required physical exercise your body is craving during the day, crank up a nice warm bath at night and crawl into bed with a good book. The rewards for being fit and healthy during the day is a good nights sleep at night.